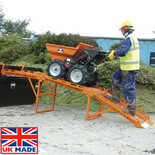 A pair of ridged sectional skip loading ramps for use with the Belle Minidumper. 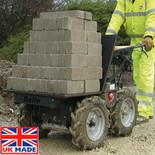 Strong, sturdy and UK made!!! 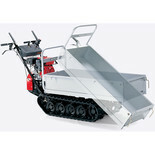 This towing hitch attachment for the BMD300 is simple to attach and replaces the skip. 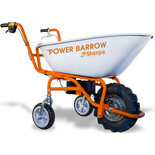 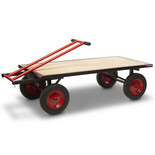 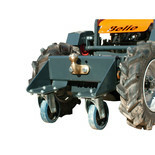 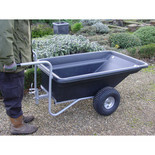 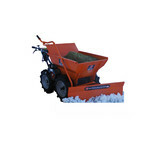 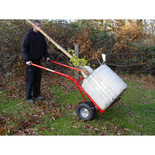 The attachment can be used to pull trailers, caravans and other heavy duty items around the work site. 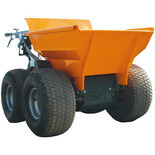 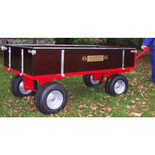 A robust heavy duty UK made flatbed attachment for use with the Belle 'Minidumper'. 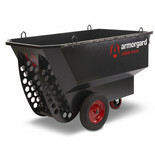 Solid and durable to withstand tough site conditions. 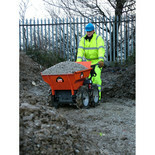 This rubble truck is ideal for on site use thanks to the large 400 Litre capacity and rubber side protection buffers, whilst the in-built tipping feature to allows for easy emtpying.